Nepal Himalaya tour is designed for those who loves traveling to new and naturally surrounded places. 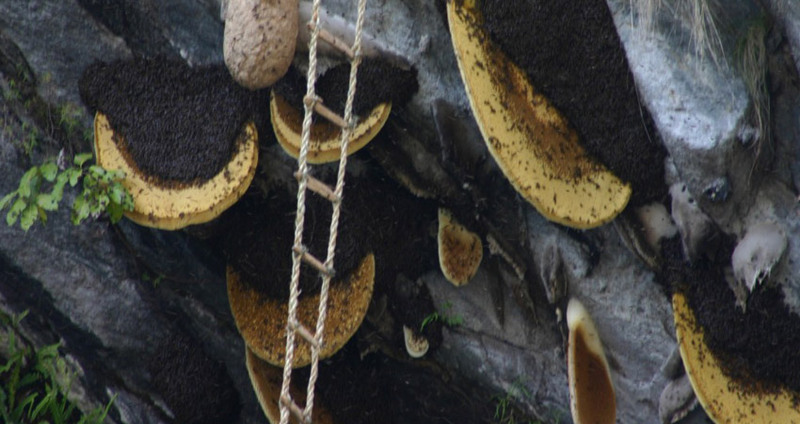 This Tour will surely take those people very close to nature that enchants the beauty of Nepal. It also covers the main cities, most of the significant places in Nepal including the major sights of the Kathmandu valley, Bhaktapur, Patan, Dhulikhel and Pokhara. The main highlight of this tour is an opportunity to experience unique Nepali rural lifestyle and meet local people with great mountain view. Nepal is a country full of natural beauty and is known for the country surrounded by the great Himalayas. It is a land of eternal beauty and attraction, filled with colorful cultures, ancient history, and picturesque scenery. The rivers and rivulets, flora and fauna, forests, panoramic mountains, Historical and cultural places, distinct ethnic societies are what makes Nepal Unique from any nation in the world. Himalaya tour in Nepal starts from the Kathmandu (the capital city) where the Historical and cultural places with ancient art and architecture will delight your day. Cobbling down the stoned streets, we will take the route of Bhaktapur, Patan, and Dhulikhel, for a breath of mountain air, views of the rice terraces and views of the great Himalaya. Leaving Dhulikhel, we will travel to the exotic city. Pokhara is the ideal place for all types of traveler either you are a regular tourist, an adventure trekker or you are with your family on a tour. Phewa Lake, Mahendra Cave, the gorge of the Seti River, breathtaking Annapurna, Davis Falls and boating on the calm Phewa Lake are the major attraction of the beautiful city Pokhara. 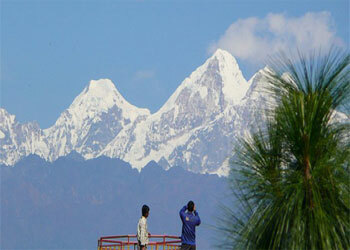 You will experience nature at its best, amidst the enchanting natural beauty and snow-capped peaks surrounding Pokhara. 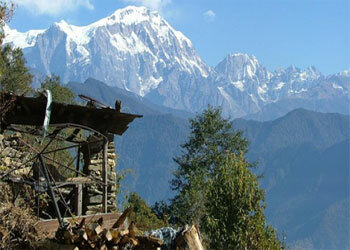 Nepal Himalaya Tour offers you an unlimited fun, mesmerizing views, and serenity. The Vacation can be arranged according to your schedule and comfort. Tour Duration: 07 days arrival to departure. Tour Visiting Places: Kathmandu, Bhaktapur, Dhulikhel, Pokhara, Sarangkot. Day 01: - Kathmandu arrival, transfer to hotel. We will meet you at the Kathmandu Tribhuvan International Airport and transfer you to your hotel. When you have had time to settle in and freshen up after your long flight. You will be invited to visit our office for a briefing about your program. During this visit we will help you check your belongings and briefing you about the tour itinerary. After breakfast we will embark on a full days sightseeing tour of Kathmandu. The tour includes a visit to the Hindu temple complex at Pashupatinath (a UNESCO World Heritage Site) & the largest Buddhist Stupa in Nepal at Boudhanath. 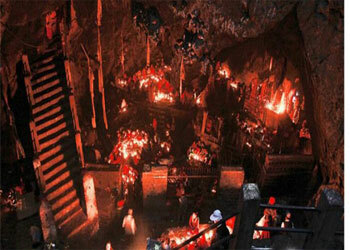 We will also visit Swyambhunath, a 2000 year old temple (known as the monkey Temple). You will be returned to your hotel after the full day tour to relax and use your free time as you wish. After breakfast, we will drive to Bhaktapur, (known as the city of devotees). Bhaktapur lies 14 km east of Kathmandu. We will visit Durbar square in Bhaktapur to view beautifully and richly carved woodwork, both on the temples in the square and the surrounding homes. After visiting a Bhaktapur Durbar Square we will proceed to Changu Narayan, one of the oldest temples in the valley, and also World Heritage listed. We will then drive to Dhulikhel. This is a good opportunity to experience the Newari culture and slow down to breathe to crisp clean air of the Himalayan foothills in Dhulikhel. After breakfast we will drive you to the Domestic airport to board a flight to Pokhara. 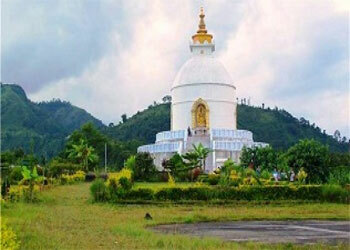 After checking in to your hotel we will take a sightseeing of Pokhara city. We will visit Bindavasini Temple, Seti George, Devis Falls, Mahendra Caves, and enjoy a restful time boating on the Phewa Tal (lake).The evening will be yours to spend as you wish. Early morning drive to Sarangkot to see Sunrise over the Himalayan Peaks, Sarangkot provides one of the best sunrise view and best Himalayan and country side view. Trek down to Pokhara and stay at hotel. After breakfast, We will drive or fly back to Kathmandu, drive is about 7 hour by scenic road, flight takes 25 minutes to reach Kathmandu, transfer to hotel. last minute shopping time and look around Kathmandu streets. If you are leaving Nepal and not continuing your holiday here in Nepal, we will take you to the Kathmandu Airport to catch your flight home. Hotel Accommodation throughout the tour including breakfast.